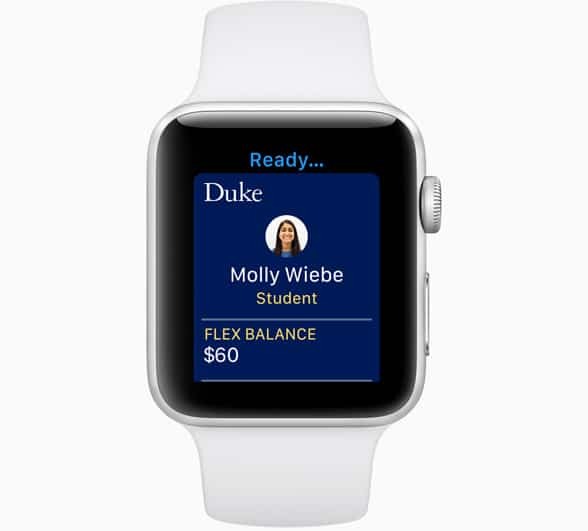 Students at six US universities will be able to use their iPhone or Apple Watch to replace their student ID card from later this year, Apple has announced at its Worldwide Developers Conference (WWDC). “The program launches with Duke, the University of Alabama and the University of Oklahoma this fall. Johns Hopkins University, Santa Clara University and Temple University will bring the capability by the end of the year,” Apple says. The new functionality was announced by Kevin Lynch, vice president of technology at Apple, during the opening event of WWDC 2018. Both iPhones and Apple Watches will support the new campus card functionality, Lynch explained during the live presentation.